Start preparing for college now. Talk to your parents about future plans. Begin to seriously think about what college you would like to attend and what kind of career that you hope to have. Take Challenging Courses to prepare you for college and your career plans but please be realistic. You want to earn strong grades. The higher your final grade the higher your GPA(Grade Point Average). Attend school every day and prepare daily for your classes so that your grades are best. Grade Point Average is and class rank are calculates beginning in 9th grade. Honors and AP courses earn extra quality points but again be realistic and careful when choosing your classes. Keep a record of you extra curricular activities and volunteer work. This will come in handy when you begin applying for college and scholarships. Please choose a time to attend Freshman Orientation. This program is for currently enrolled rising 9th grade Students only. Orientation is meant to provide support for students who are transitioning from 8th grade to 9th grade with Academic, Leadership, and other Transition resources as well as a chance to have Conversations and Q&A sessions with some Mallard Creek Staff and Student Leaders. First Day of School: Students are to be at school and in their 1st block class by 7:15am. Mallard Creek operates on a 4 X 4 scheduling system This means students take 4 classes in the Fall semester ( August - January) then a different set of 4 classes in the Spring semester ( February - June). We also offer some yearlong courses. 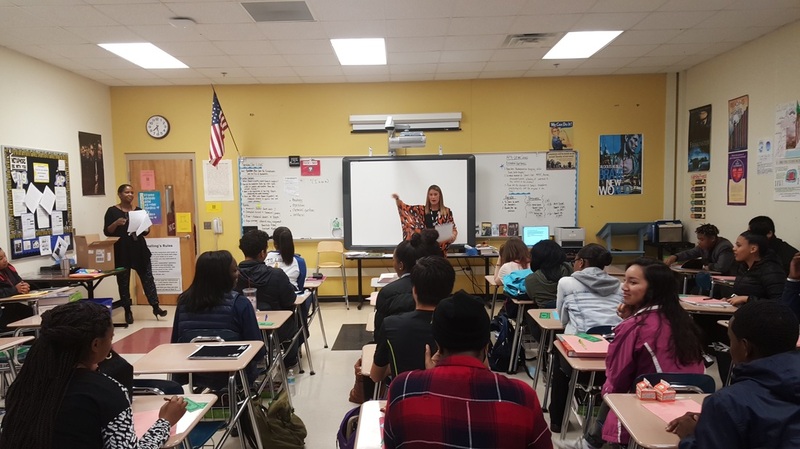 Classroom Guidance Lessons: Counselors will come to one of your classroom to present information to you that will help you have a successful year. Parent Jam: 201-2019 Dates: TBA (after school): Parents are invited to come to several sessions all of which are designed to have a successful high school career and to become more familiar with Mallard Creek.